This site was created by Derek McGovern and LeeAnn Cafferata in September 2010 to complement the long-running forum Mario Lanza, Tenor. 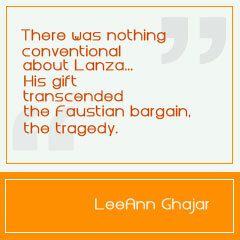 It was launched on 31 January 2011 (the 90th anniversary of Lanza's birth). As with the Forum, our purpose is to pay tribute to Mario Lanza by providing informed discussion on his life, career and recorded legacy, and, at the same time, refute the many lingering myths about the man and his artistry. 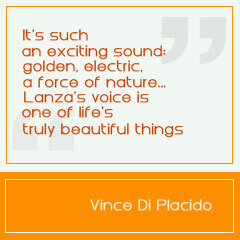 This is not your typical Lanza "fan site," however. While we unabashedly celebrate Lanza, we are not one-eyed in our enthusiasm, analyzing the low points as well as the highlights of his extraordinary life and legacy. Our sparkling contributors hail from eighteen countries, and include New Zealander Derek McGovern, PhD, a South Korea-based English professor and Lanza aficionado who has written the liner notes to six CD releases, including Sepia Records' Mario Lanza: Greatest Operatic Recordings, My Italian Soul, and Never Till Now; LeeAnn Cafferata, PhD, a digital historian from Northern Virginia, U.S.A.; Italian-Australian singer, biographer and broadcaster Armando Cesari, author of Mario Lanza: An American Tragedy (Baskerville Great Voices Series, 2004) and a renowned authority on Lanza's life and career; lyric tenor Vincent di Placido from Ireland; Muriel Agnello, a Maryland, U.S.A.-based writer; American tenor and health professional Tony Partington; former diplomat and Rome-based university director Emilio Iodice; Lou Abada, a retired human resources manager from the Philippines; electronics engineering technologist Michael McAdam from Canada; former police officer and opera buff Gary Maidens of Canada; American research chemist and inventor Joseph Fagan; linguist and live opera enthusiast David Savage of the U.S.; Lanza memorabilia collector Susan Klee of Hungary and Germany; and researcher extraordinaire Stefanie Walzinger of Germany. Do you have a Lanza-related question or comment? If so, feel free to write to us below. 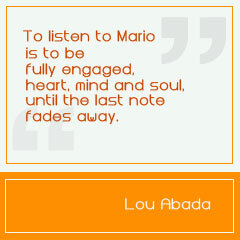 Alternatively, the answer to your question may be found at our FAQ page, Mario Lanza: The Basics. Please note that we're not able to provide sheet music—apart from reproductions of these two songs—nor can we assist with sales/bequests of Lanza record/CD collections. ​Thank you!—Derek McGovern, site owner.